Damen Offshore Carrier 8500 "Nexus"
Home › Offshore Carrier › Offshore Carrier Range › Offshore Carrier 8500 "Nexus"
The 22nd of December saw the delivery by Damen of an innovative new DOC 8500 cable laying vessel to international offshore contractor Van Oord. 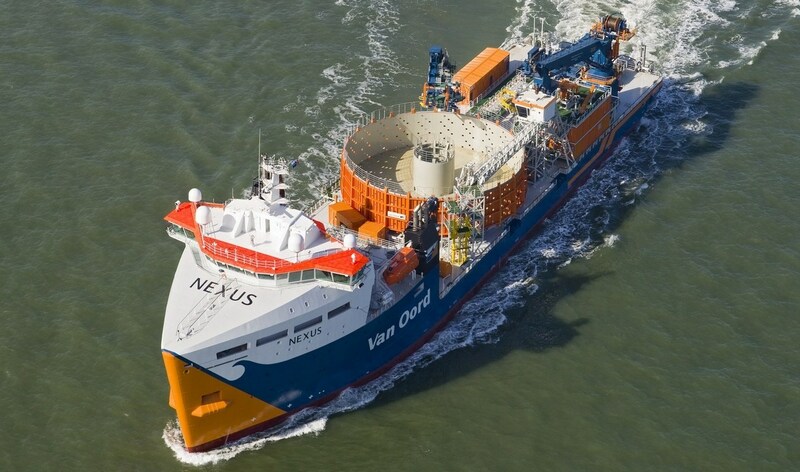 Named Nexus, the 126-metre vessel is intended for the installation of electricity cables for offshore wind farms. Van Oord is currently making preparations for the Gemini offshore wind farm which will be constructed 55 kilometres to the north of Schiermonnikoog, one of the Dutch Wadden Islands, and the cable-laying vessel will be deployed initially at that site.